In this fact sheet, students will learn how special effects were brought to life for an Elizabethan audience. 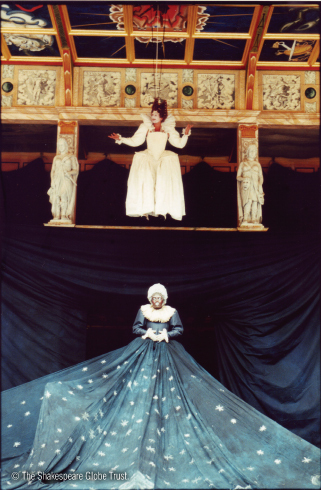 Playwrights in Shakespeare’s time used language to describe ‘special effects’ much of the time; but acting companies could also produce very dramatic special effects. Thunder and lightning filled the theatre for storms. There were a variety of effects to suggest magic was at work. Many special effects needed special ingredients. Buying these made a performance more expensive, so special effects were not used all the time. How were special effects produced? The easiest way to make the noise of thunder was to beat drums offstage or roll a cannonball across the floor of the Heavens over the stage. Some companies used a thunder machine – a wooden box balanced like a seesaw. A cannon ball could be rolled from one end to the other to make a thundering noise. Storms needed lightning, too. Lightning flashes were made by throwing a powder made from resin into a candle flame. It lit with a flash. The companies could make lightning bolts, too. The machinery for this was called a swevel. They fixed a wire from the roof to the floor of the stage. They fixed a firecracker to the wire and lit it when they wanted the effect. The firecracker shot from the top of the wire to the bottom, making sparks all the way. Were the special effects dangerous? Sometimes, special effects could go wrong. On 29 June 1613 there was a performance of Shakespeare’s Henry VIII at the Globe. Some small cannon were fired. The company didn’t use cannon balls, but they did use real gunpowder, held down by wadding. A piece of burning wadding caught in the thatch and set the theatre alight. It burned down in about an hour. It is unlikely anything this spectacular happened very often. However, many of the ingredients used to create special effects smelt very, very bad. Sulphur has a rotten egg smell, while saltpetre (made from dung) smells bad when mixed up and even worse when set alight. Both were used to make gunpowder. 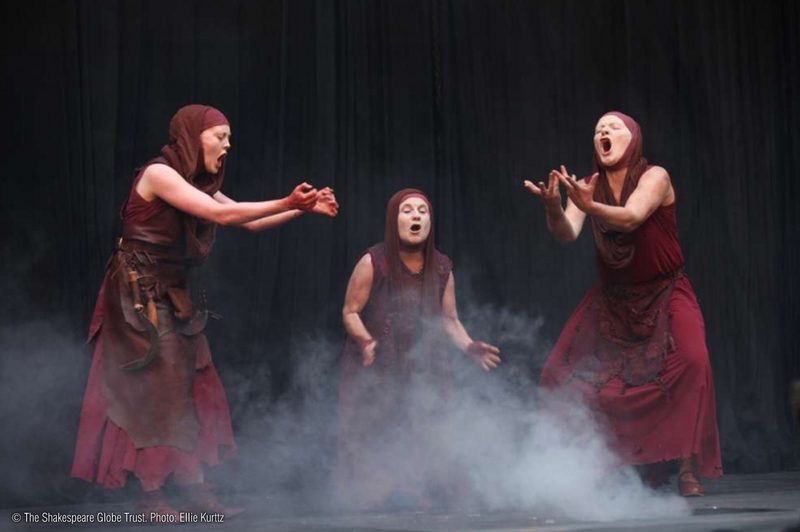 When the witches in Macbeth are making their spells and one of them talks about ‘the fog and filthy air’ the air inside the theatre may have been horrible to breathe in, if not actually dangerous. Magical spirits, devils and gods and goddesses often appear in plays from Shakespeare’s time. Good spirits and gods and goddesses usually entered through a trapdoor in the Heavens. The actors were lowered on a rope or a wire. This was called ‘flying in’. Evil spirits and devils came up from Hell, under the stage, through a trapdoor in the stage. Companies often set off firecrackers when devils appeared or magic was used. Firecrackers were made by filling rolls of thick paper with gunpowder, which produced sparks and then a bang. You could buy gunpowder from grocers or ironmongers. In one production of Dr Faustus the actors playing devils even put firecrackers in their mouths to suggest they were breathing fire! Theatre companies used smoke mostly as a magic effect, although it was sometimes used to suggest a fire. They could make black, white, yellow and red smoke – depending on the chemicals they mixed together. They used real fire as little as possible, it was very dangerous in a wood and thatch building. If they needed flames they burned strong alcohol mixed with a variety of salts, depending on the colour they wanted the flames to be.